This toy car is made to order. After you order I will make the car. 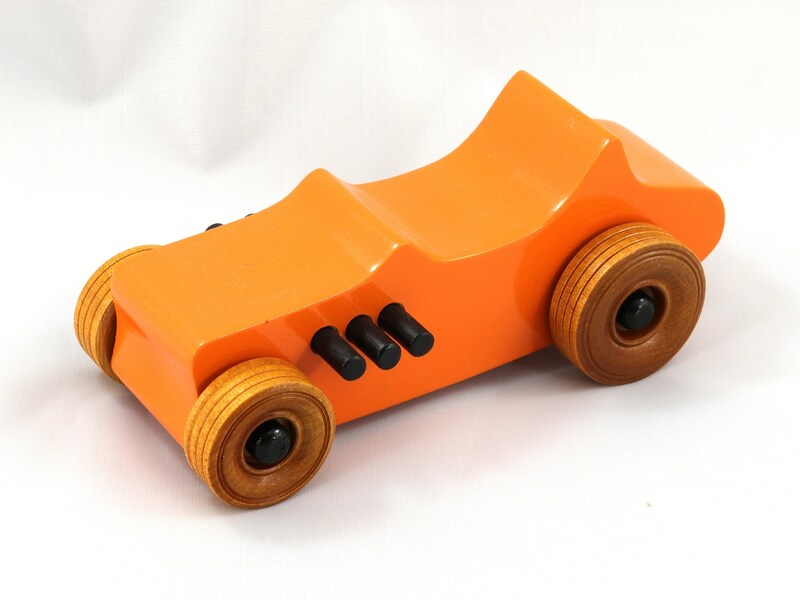 A handmade wooden toy car for adults and kids three years old and older, sturdy, durable, and designed withstand a little boy's rough play. With a bit of care, they should still be around for the next generation. I can drill this toy car to accept peg dolls. There are four cars in the Hot Rod Freaky Ford Series. See more of them in the link below.